Konstsmide white acrylic St Bernard puppy dog incorporating 32 white LED's. 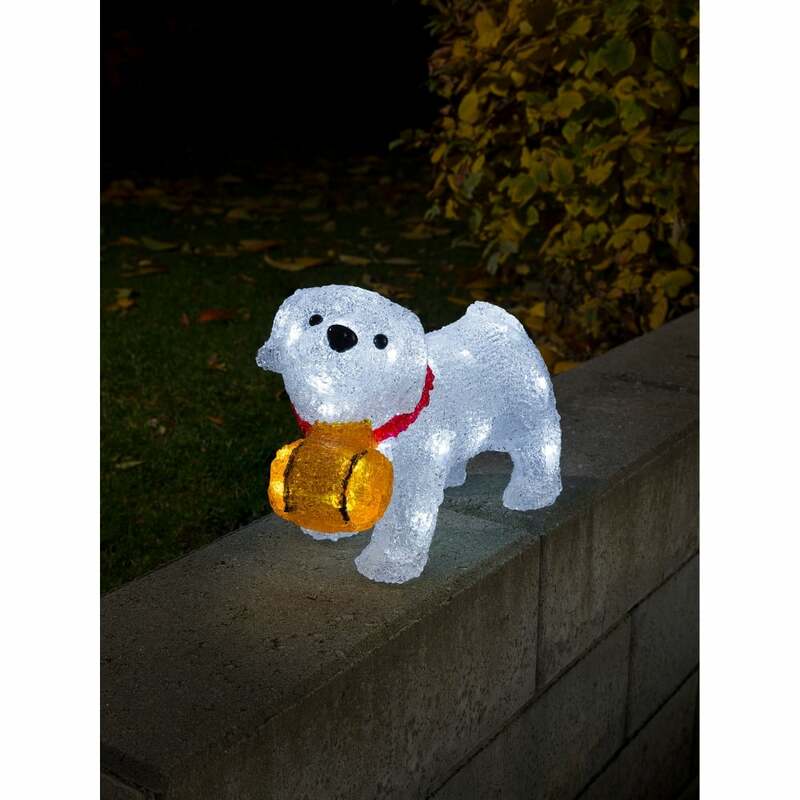 This utterly cute Christmas decoration is a must for any dog lover this festive season. Complete with a little yellow barrel and red collar this St Bernard puppy is sure to melt hearts this Christmas. Suitable for indoor or outdoor use. Battery operated and includes a built in timer, that once switched on, it will remain illuminated for 6 hours then automatically swicth off for 18 hours. This cycle will repeat so long as the dog is switched on. Product code 6130-203. Pair up with the larger St Barnard (product code 6263-203) to make a dog family.